Crisis Management, not your everyday's management. Super typhoons, Occupy, SARS, Cyber attacks, Fraud, Trade manipulation and so many other incidents can hinder the continuity of normal business, and have considerable impact on the company's reputation as a reliable partner. Some of these event can quickly escalate from a simple incident into a full crisis or even disaster. Managing a crisis requires a different skill set compared to normal management. Taking immediate decisions, even though the situation is unclear and the management team strongly and emotionally disagrees on the right way forward, is not a small feat. In a short presentation followed by a mini crisis management exercise, Willem will allow the participants to build up experience with Crisis Management. 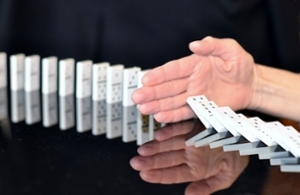 - Crisis communication: Do's and don'ts. The mini scenario simulation will allow the audience to experience an immersive crisis situation. In this tabletop exercise, participants will be assigned to the ExCo of a hypothetical company, and then presented with a realistic, live unfolding crisis situation. Short of a real crisis, this is the best way to build a habitual understanding of Crisis Management for any organisation. Unless IT is your business, BCM is not IT.